Calling all dads, lads, granddads, uncles and nephews! 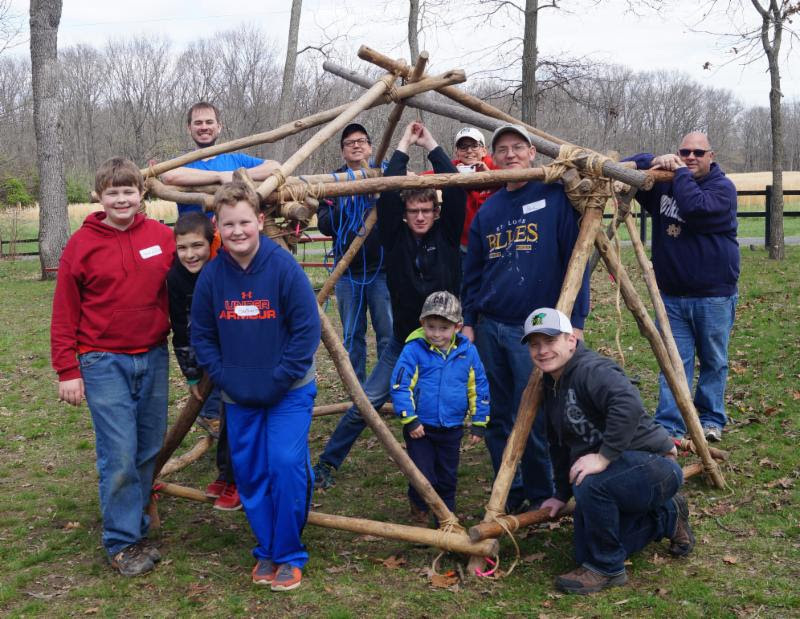 Spend quality time together at the annual DuBois Center Father-Son Retreat. Join Rev. RJ Morgan and DuBois Center staff and volunteers for a weekend to remember. 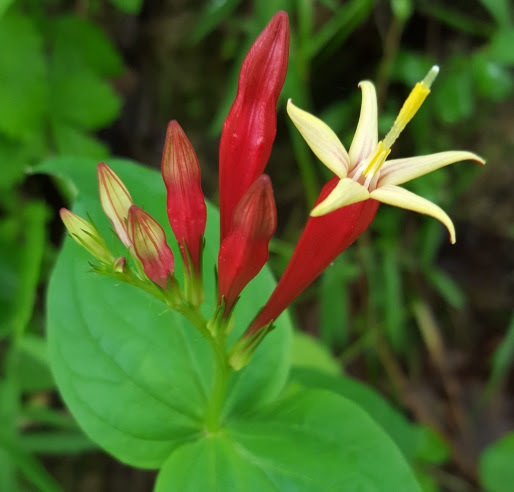 Fish, hike, canoe and explore together. Make cool crafts, share in vespers and work on your archery skills. Families participate together; activities are geared for boys age 5 and older. Horseback riding is available for an additional fee. Lodging is in heated cottages and Hickory Lodge. Register early for first choice of housing! Check out the flier and reservation form or register online. Questions? Contact DuBois Center at dcinfo@duboiscenter.org or 618-787-2202. Welcome Catie Goetter to our 2018 summer staff team! This will be Catie’s second summer on staff; she will again be serving as a Barn Assistant/Counselor. Catie grew up in Maryville, Illinois and was active in church life and youth groups at St. John Evangelical UCC in Collinsville before heading off to school. 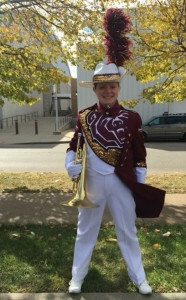 She is a sophomore at Missouri State University where marching band and student ministry programs keep her more than busy. At MSU, Catie is majoring in special education. In addition, she is taking riding classes and volunteers with a therapeutic riding program. One of her goals is to further develop her riding and barn management skills, and then one day serve as the Summer Barn Coordinator. Catie is passionate about DuBois Center and the experiences it provides for young people. 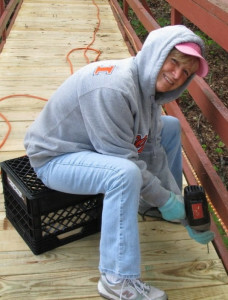 She attended for years as a camper, horse retreatant, and ISCUCC youth event participant and planning team member. She successfully completed our CIT (Counselor in Training) program and volunteered as a counselor and at the barn whenever her schedule allowed. This summer she really wants to work on “helping others grow in their faith” and play her ukulele more. 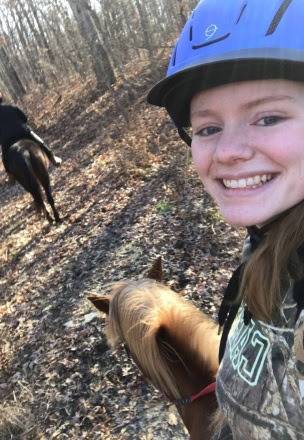 Catie wrote, “I am looking forward to working with old friends and new people, as well as getting back in the barn with my 4-legged friends.” She also can’t wait to see her campers from last summer! In a reference Catie’s band director wrote, “Catie is a joy to have around and a very hard worker.” We definitely agree! Welcome back! We are always on the lookout for caring, fun-loving individuals who enjoy the outdoors and have a heart for ministry to serve with us at DuBois Center. Do you know someone who fits this description? DuBois Center has paid and volunteer positions available for Summer 2018. We take recommendations from people who know them best – you! If there is someone you feel would be a good fit for one of these positions, either complete the information on this form or contact DuBois Center at dcinfo@DuBoisCenter.org or 618-787-2202. Join our equestrian team on Saturday, April 21 from 9 am – 5 pm for a full day of fun with the DuBois Center herd! Designed for both beginner and experienced riders, this is a horse-intensive day of grooming, tacking, riding, instruction and other horse-related activities. Beginners will be introduced to basic skills, while experienced riders work on more advanced options. The cost for this event is $60 with lunch included. Register by March 31 and save $5. Final deadline is April 7 – if space is still available. Space for this day often fills up fast! Click here for a flyer and reservation form or register online. Questions? Contact DuBois Center at dcinfo@duboiscenter.org or 618-787-2202. Stretch your muscles, get a little dirty and make a difference! Help spruce up the grounds for our busy spring and summer seasons. We can’t do it without YOU! This spring, we have two workdays planned – one for March 24 and another for April 21. Projects vary, depending on the weather and the skills of the workers – carpentry, cleaning, painting, raking and more. We may even remove or install a dock. Serve together with friends and family, and gain a sense of satisfaction. We’ll gather around 8:30 – 8:45 a.m. and conclude by 4 p.m. each day. Lunch is provided, as well as necessary tools. Check out this flyer for more information. RSVP to DuBois Center at dcinfo@DuBoisCenter.org or 618-787-2202. Join Region 2 for an evening of fun and fellowship. This somewhat frenzied dice game is so easy to learn, anyone can play! Gather the family, some friends or your youth group for what’s sure to be a great time. The event is THIS Saturday – February 24, doors open at St. Paul UCC in Columbia at 6:30 pm, and the game begins at 7 pm. Just $10 per person covers the cost to play. A 50/50 drawing and silent auction with a variety of fun items will also be available, as well as the HUNGER ACTION challenge that will round out the evening. Snacks and soda available for purchase. Check out this flyer and share it with friends and neighbors. Funds raised support the ministry of DuBois Center; food items donated support a local food pantry. We hope to see you there! Great photos and smart phones go hand in hand nowadays. 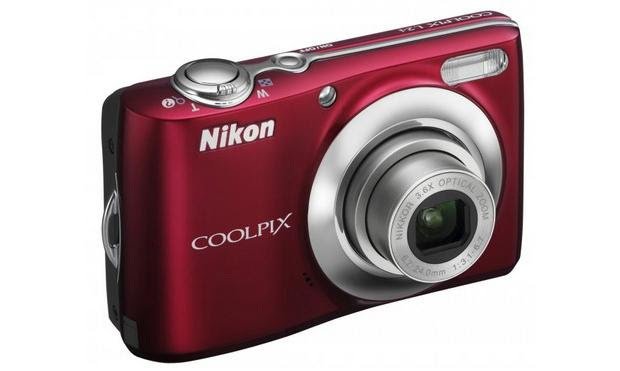 So what happened to all those small, point and shoot cameras – the Coolpix, PowerShot and FinePix? DuBois Center is in search of 8-10 gently used (or new) cameras. They are great for photo booths, scavenger hunts, photography classes and so much more. Requirements: good working condition and SD card compatible. Summer staff recruitment is in full swing, and we will be introducing members of our 2018 team through Weekly Connection and Facebook. First up is Troy Mcrae. This will be Troy’s second summer on staff. He will again make the long trek from Western Australia to DuBois, Illinois. Troy grew up in the “Aussie countryside” in the small town of Manjimup. 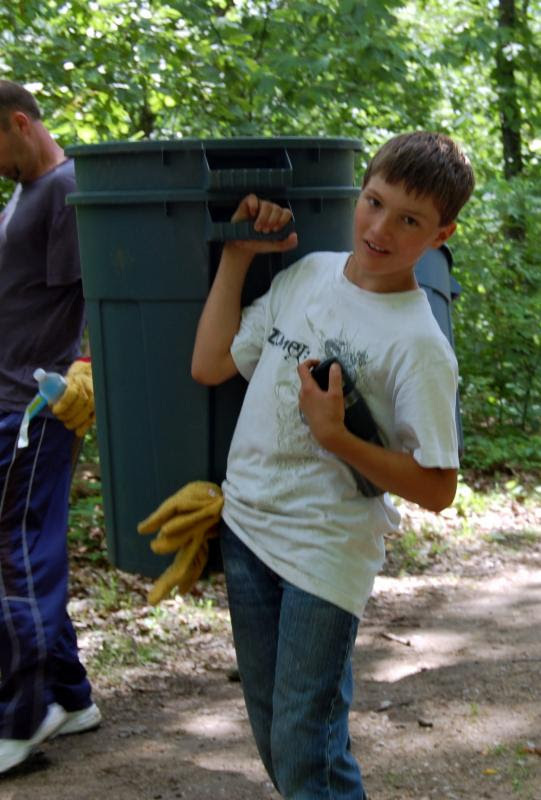 Active in his church youth ministry and camping programs, he grew from youth participant to young adult volunteer leader. 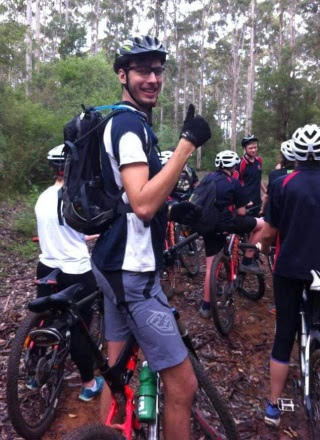 Troy loves being outside and spent a year as a trainee and instructor at an outdoor school. Canoeing, lifeguarding, “bush walking expeditions,” food prep and equipment maintenance were all part of his experience there. 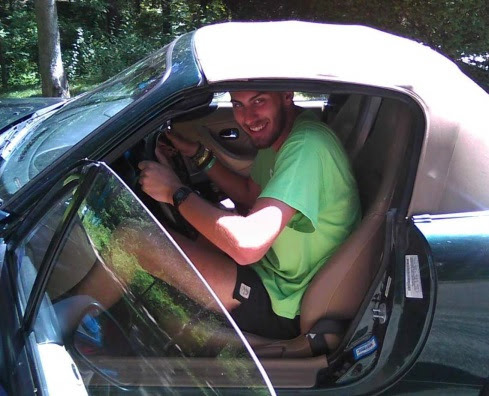 Troy brings skills as an effective canoeing instructor, accomplished guitar player and caring camp counselor. His long-term goal is to become a professional outdoor educator. Aussie meat pies are Troy’s favorite food. Two of his favorite hobbies are cycling and larping (think Lord of the Rings meets football, with a bit of theater improv thrown into the mix). He describes himself as a massive “pop culture nerd (in the best of ways).” Welcome back, Troy! Join Region 2 for a night of winter blues-busting fun at St. Paul UCC in Columbia. Play BUNCO, and support DuBois Center and a local food pantry! 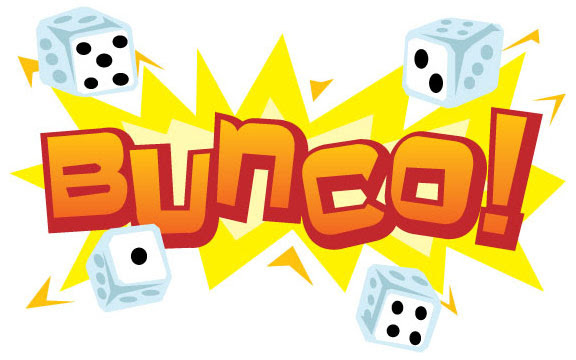 Bunco is an engaging dice game that is easy to learn; children as young as 10 or 11 can be successful and have fun. Doors open at 6:30 pm; play begins at 7 pm. Cost to play is $10 per person. 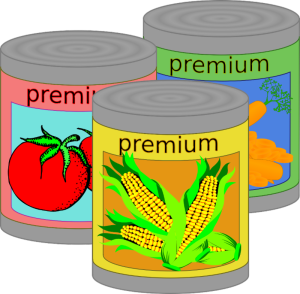 This year Bunco Night is being paired with an effort to “Fill a Food Pantry.” By February, the major “food” holidays will be distant memories and pantry shelves will need restocking. Lend a hand and have a lot of fun – all at the same time! Help spread the word; invite everyone you know! Check out this flier for details. 1. 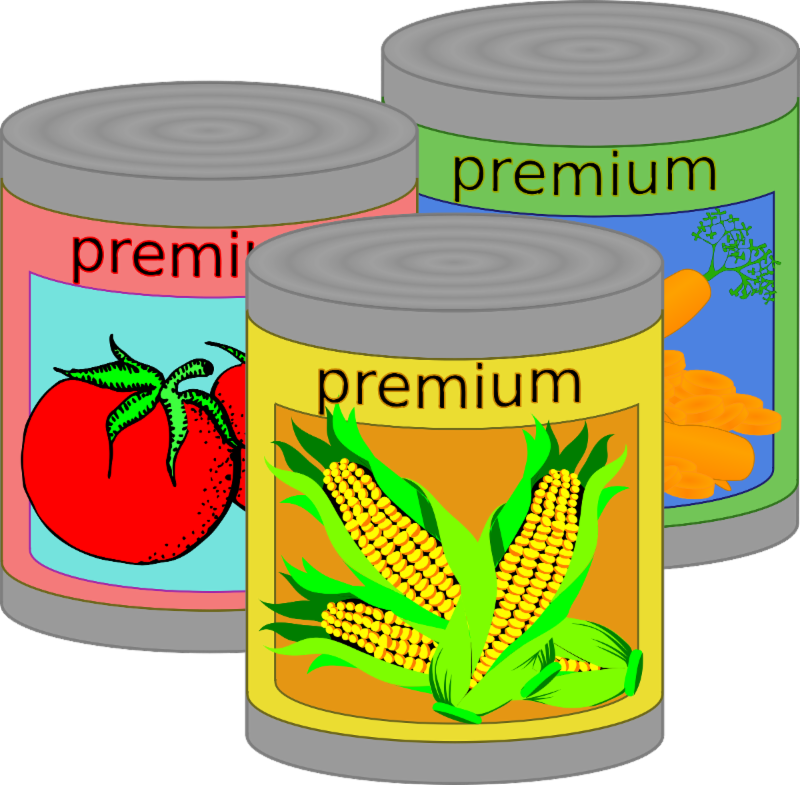 Bring a can or box of nutritious food to donate to a local food pantry. For each item you donate, you will receive one ticket for a special drawing – the more items donated, the more chances to win. The prize will be a fun basket of items appropriate for a variety of ages. 2. Recruit Bunco players from your local church or community group. The church/group with the most individuals who pay and play Bunco at this event will have the honor of selecting the food pantry to receive the food collected that evening.